Critical life situations require strong and reliable partners. We are here – whenever you need us. 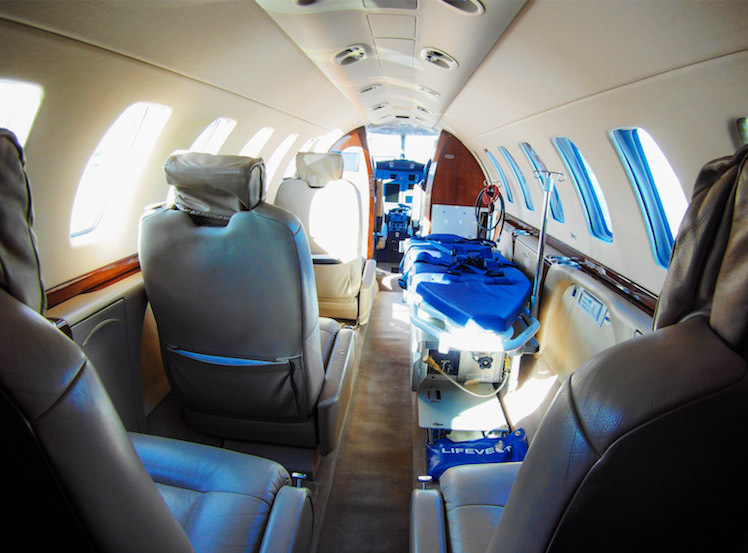 We will transport a patient from the hospital to the airport and from the airport to the hospital at your destination. 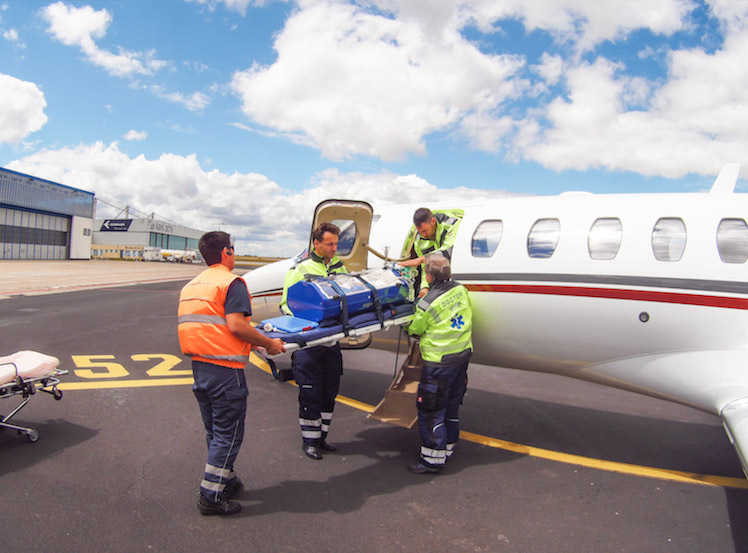 All of this including ground and board medical personnel with a range of experience in arranging air repatriation and air ambulance services. We became the first providers of ambulance Mustangs in Europe. 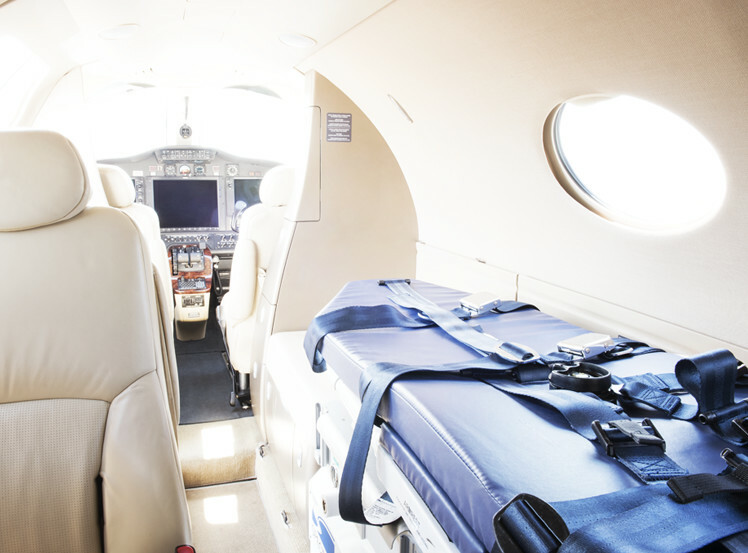 Compared to other jet aircraft, Mustangs are the least expensive option for transporting patients on short and medium journeys. Newly we are also using an airplane CJ3. Mobile loading platform allows for gentle horizontal loading of the bed with a patient, its fast and safe fastening on the installed base, and connecting to the necessary medical equipment. Safe transportation all over Europe. The aircraft can be ready at any time. 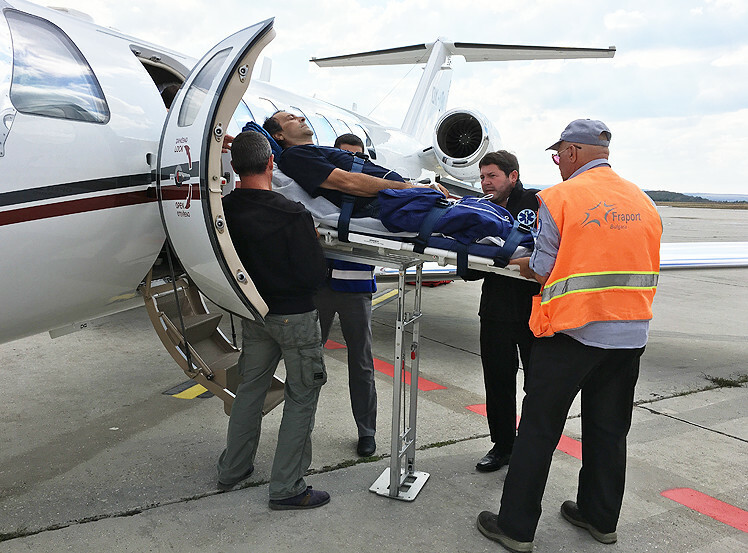 Transport by air is safer than travelling in an ambulance. When it comes to saving lives, speed is what makes the difference. 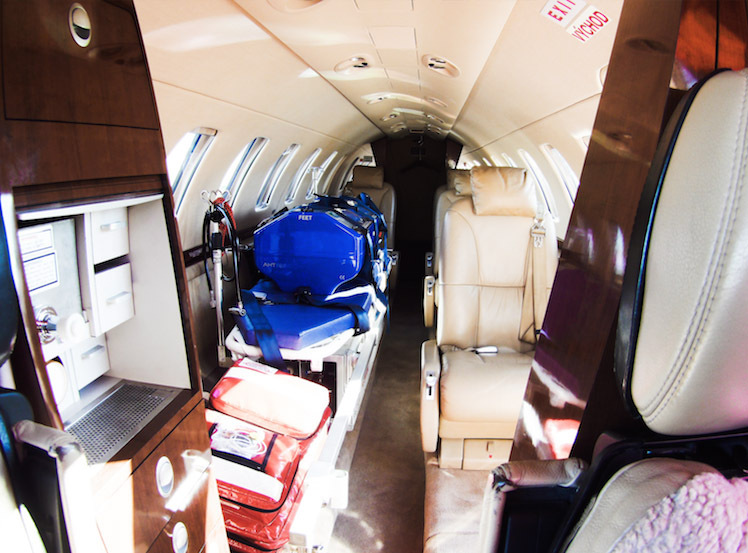 Special bizjets dispose of modern medical instruments. Patient comfort and sufficient space for his/her carers. Professional services from professional personnel. Accidents do not choose a specific time or place. Our dispatch centre operates 24/7. We are fast and flexible. We dispatch aircraft to most destinations within 3 hours from placing your order. 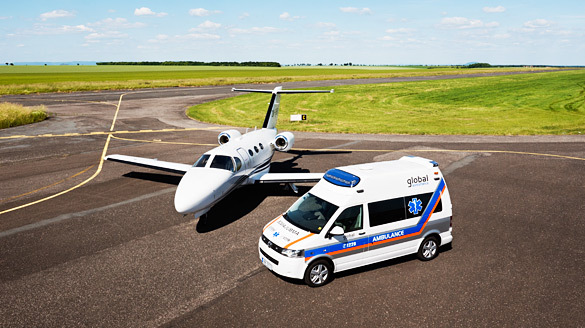 We also operatively provide ambulance aircraft for repatriation to anywhere in the world. ECG monitor, defibrillator, external pacemaker, intravasal BP, NIBP, capnometer, SaO2 Corpuls 3 GS Elektromedizinische Geräte G. Stemple GmbH.